The Portsmouth Regatta team and Sunsail, the global sailing holiday company have teamed up again. Sunsail will be the main title sponsor for the 2018 regatta. Adrian Saunders (on the left), Event Director, says, "Following the great collaborative approach in 2017, exciting sailing and the growth of the event for 2018 a continued Sunsail partnership is the logical step for both organisations. With the addition of a class of Sunsail Match First 40 fleet the event will be the largest sailing regatta in the Eastern Solent. A social reception will be held at the Royal Naval Club & Royal Albert Yacht Club after racing on Saturday." 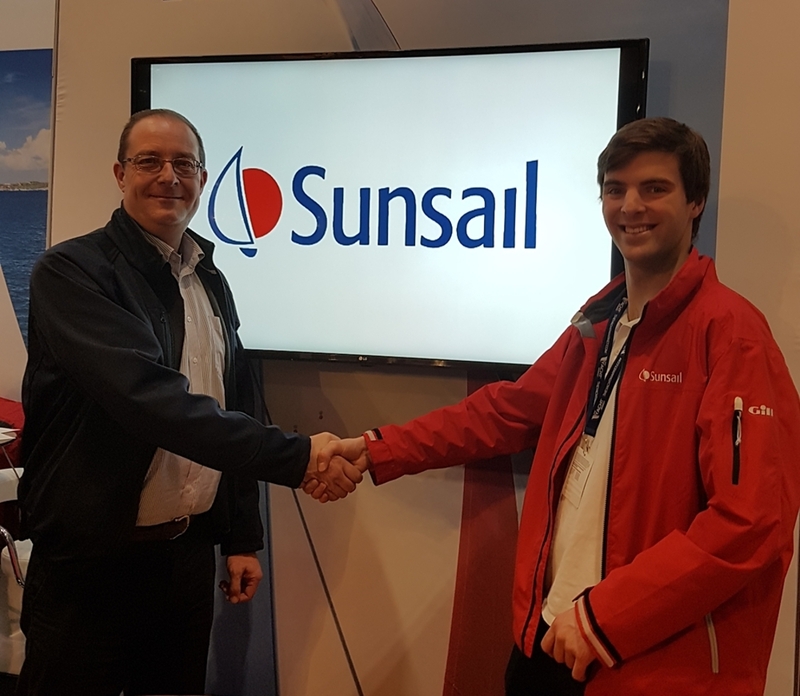 James Foot (on the right), Sunsail UK Marketing Manager comments, "Supporting sailing in the UK is very important to Sunsail. Portsmouth is our home port, and we are delighted to link up with the Regatta Committee to help create the Eastern Solent's largest regatta. The Portsmouth Regatta is a brilliant way to encourage new and experienced sailors to get out on the water, and offers a fantastic way to share our passion for the sport. We're thrilled to have added the Portsmouth Regatta to our UK summer season." Russell Peace, Sailing Secretary, explained that "the two day event will be run over the Weekend of 9/10th June 2018 in the Eastern Solent. 2018 is looking very promising already with more classes entering requiring Black and White groups to be established. To include IRC1-4 SIRCOA Championship, Club Class, Sunsail Match First 40 Fleet, J109s, Little Ship Club summer Regatta, Victory Class, Squibs, Tempest Nationals, Bembridge One Designs with more in the pipeline. Saturday with 3 races, 1100hrs first race start followed by a Sunday 1000hrs start with 2 races and the prize giving, 1400, at Hornet Services Sailing Club Gosport where food is provided to all participants. The current estimate is 70+ boats entering across 13 different classes."